Win a 3-night holiday to Disneyland® Paris with DFDS. Click here to enter. White Cliffs Christmas Event is back at Dover's historic Cruise Terminal One for the third year. Father Christmas and his friendly elves will be making a welcome return on a sleigh. 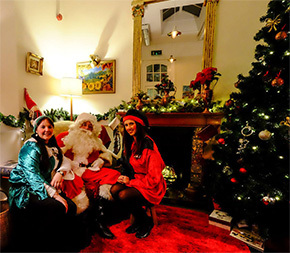 Taking up residence in his grotto, the grand old man of Christmas will once again greet children and hand out presents. His special post box will also be available for everyone’s festive wish lists. 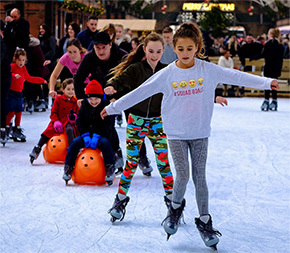 Adding to the seasonal mood, will be last year’s favourite, the hugely popular undercover real ice-rink – only this time it will be bigger and better. We recommend booking early to secure your preferred skate times and dates. 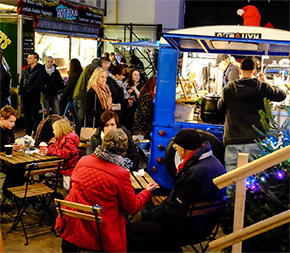 The Christmas Market will be open once more, offering a wide range of gift ideas, complemented by live music, a variety of children’s rides, and concessions serving tasty food and beverages. Warm your cockles this winter with everything from sweet to savoury from our wide selection of food and drink. 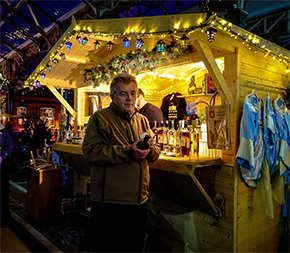 Our Christmas market returns with an even wider range of unique stalls every Saturday and Sunday and everyday throughout the week of Christmas.